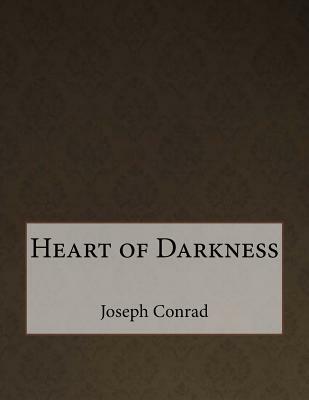 Heart of Darkness is a novella written by Polish-born writer Joseph Conrad (born Jozef Teodor Konrad Korzeniowski). Before its 1902 publication, it appeared as a three-part series (1899) in Blackwood's Magazine. It is widely regarded as a significant work of English literature and part of the Western canon. This highly symbolic story is actually a story within a story, or frame narrative. It follows Marlow as he recounts, from dusk through to late night, his adventure into the Congo to a group of men aboard a ship anchored in the Thames Estuary. The story details an incident when Marlow, an Englishman, took a foreign assignment as a ferry-boat captain, employed by a Belgian trading company. Although the river is never specifically named, readers may assume it is the Congo River, in the Congo Free State, a private colony of King Leopold II. Marlow is employed to transport ivory downriver; however, his more pressing assignment is to return Kurtz, another ivory trader, to civilization in a cover up. Kurtz has a reputation throughout the region. Notice: This Book is published by Historical Books Limited (www.publicdomain.org.uk) as a Public Domain Book, if you have any inquiries, requests or need any help you can just send an email to publications@publicdomain.org.uk This book is found as a public domain and free book based on various online catalogs, if you think there are any problems regard copyright issues please contact us immediately via DMCA@publicdomain.org.uk.